First, I define three different classes of activities based on the time period in which I expect them to pay off. A tasks are expected to yield significant benefits over a 5-year time span and beyond. This could include starting a new business, writing a book, changing my diet, adding a new passive income stream, etc. It’s perfectly fine for an A task to start producing benefits in a shorter period of time, but the idea is that I expect such tasks to still be having a lasting impact 5+ years from now. This has to be a genuinely realistic expectation, not just wishful thinking. B tasks are expected to yield benefits over a 2-year timespan or less. This class may include writing a new series of articles or blog entries, selling an advertising package, or training to run a marathon. While there could be long-term benefits that extend for many years, the general expectation is that the benefits will be fully realized sometime within the first two years, and there won’t be much additional payoff beyond that. Think of these as one-shot projects. You do them once, gain the benefit, and move on. C tasks are expected to make a difference only in the timespan of 90 days or less. Most likely I won’t even remember the task or see evidence of its benefits beyond that time. This includes routine actions like answering email, paying bills, returning phone calls, and filing. If these tasks aren’t done, it might create problems down the road, but doing them well isn’t likely to yield a significant long-term payoff. There’s certainly some ambiguity in these definitions, but I’m OK with that because it allows for flexibility around the edges. The 50-30-20 rule says that I spend 50% of my work time on A tasks, 30% on B tasks, and 20% on C tasks. For example, if I work 8 hours per day, that would mean 4 hours on A tasks, 2:24 on B tasks, and 1:36 on C tasks. The time boundary for C tasks is an upper limit. This means that I don’t spend more than 20% of my work time on C tasks; if I run out of time, I carry remaining C tasks over to the next day. The A task boundary is a lower limit, which means I must spend at least 50% of my work time on A tasks. The B class absorbs the slack if I go over 50% on A or under 20% on C.
I’ve only been doing this for a few days now, and I can already see that it has a lot of potential. It’s similar to other task allocations like Stephen Covey’s four-quadrant approach, but it actually specifies how much time to invest in each type of activity. Although this can be done weekly, I find it best to make the time allocations daily when possible. But if I get overloaded with C tasks one day, I may do virtually none the next day to keep the right weekly balance. At first I found it very uncomfortable to spend so little time on C tasks, especially when I felt driven to check them off and get them off my task list. But I could see I was spending too much time on C tasks relative to their worth, while high priority A tasks were being sacrificed. When I look at a task and see that it will have virtually no impact beyond the current week or month, it helps me see that relatively speaking, the task is a waste of time. I don’t have time to complete every single task on my to do list, so I have to sacrifice a lot of good tasks in order to invest sufficient time in the best ones. Simply doing what comes up each day is incredibly suboptimal — I know because I’ve tried it. One of my current A tasks is setting new goals for 2013. This could have a significant long-term impact based on which goals I choose. I’ll be spending at least a couple hours on this task today. Writing a blog entry like this falls into my B class. I’m sure visitors will still be reading this blog entry beyond 90 days, but I can’t predict in advance whether this entry will have a significant impact beyond five years. It’s the long-term strategy of writing and content development (A task) that makes the difference in this time span. The longer the time perspective, the less important any individual blog post becomes. Processing today’s email is one of my C tasks for today. I probably won’t spend more than 15 minutes total on email. This means that I’ll only have enough time to respond to perhaps 1-2 emails out of every 10 (not counting spam). I’m still able to read it all and extract ideas and suggestions, but my writing time is better spent producing articles to be seen by thousands of people rather than individual emails to be seen by only one person. Sometimes it’s hard to sacrifice those C tasks. I’ve been using email since 1995, and this is really the first year where I’ve had to triage my email so ruthlessly in order to free up time for higher priority tasks. It isn’t easy to follow, but I like that this system helps me stay focused on tasks which have significant long-term potential instead of those that will merely be forgotten. By limiting my C tasks to a certain amount of time each day, I create plenty of space for my A tasks. If you find yourself not getting ahead after years of hard work, perhaps it’s because too much of your time is focused on short-term C tasks like answering email, attending meetings, and filling out paperwork. Maybe you could afford to spend less time on those activities in order to reinvest it in what matters most. Otherwise those little tasks will crowd out the more important ones; the time pressure of C tasks will see to that. The ratio of 50-30-20 ratio is arbitrary, but it feels about right for me. It gives me enough time to stay on top of the truly urgent, while I’m still putting a lot of time behind the scenes into projects I expect will make a real difference down the road. You may wish to vary these percentages based on the nature of your work and your goals. What’s important is that we remain consciously aware of how our time is being invested. If you’re familiar with stock investing, think of this model as your portfolio allocation across different levels of risk. Your A tasks are your high risk, high return investments that may see a lot of short-term volatility, but in the long run, you expect they’ll pay off better than any other type of investment. These are your aggressive growth stocks. The C tasks are your safe, secure investments like a bank savings account. And the B tasks fall in the mid-range. If you haven’t been paying attention to your portfolio for a while, it’s a good idea to go back and rebalance your allocations. The reason to invest in A tasks is to capitalize on long-term opportunities. These are the whale projects that could make an enormous positive difference in your life. Examples from my life are starting my businesses, getting married, and going vegan. It’s hard to spend too much time on these types of tasks. Ideally we want to invest as much time here as we can manage. The reason to invest in C tasks is to prevent problems. C tasks keep you out of trouble. You should spend only a minimal amount of time on them… just whatever is necessary to prevent serious problems. This includes paying your bills on time, doing your taxes, and doing a reasonable job of keeping up on your communication. In most cases there’s no real benefit to doing a great job vs. doing an adequate job — the time difference would be better reallocated to A and B tasks. B tasks usually fall between A and C tasks. They help keep you out of trouble, but they also help you get ahead slightly. They entail moderate risk and offer moderate rewards. They often help reduce the need for C tasks and free up more time for A tasks. Organizing and optimizing would usually fall into the B class. B tasks help put you in a position to capitalize on bigger A task opportunities. Reading this blog entry is probably a B-class activity for you. You might find one good idea now and then which will help put you into a position to do more A tasks and fewer C tasks. Outside of my work time activities, I also have a personal tasks list. This includes family and home activities. I haven’t yet tried prioritizing those according to the 50-30-20 rule, but if it works well for my business, I might also try it for my personal life. If you want to try this system for a week, simply divide your to do list by putting an A, B, or C next to each task on your to do list. Then grab a scrap of paper, and make three columns or boxes for tracking how much time you spend on A, B, and C. Estimate how much time you expect to work each day (breaks don’t count), and then calculate the time limits for each class. If you want to use a ratio other than 50-30-20, feel free. As you go through your workday, use a stopwatch to time each activity, and then record the elapsed time in your A, B, or C columns. At the end of the day, add up the times, and then calculate your percentages to see how you did. The first day or two you may want to just measure your current ratio without actually trying to change anything. Most likely you’ll find an imbalance you’d like to correct. For example, if you see your actual ratio is something like 10-10-80, you know you’re just spinning your wheels and aren’t going to make much progress in your career. So you might want to look at those C tasks and see which ones can be reduced, delayed, or cut in order to free up more time for A and B tasks. Even the mere act of measuring will raise your awareness of where your time is going. The more time you’re spending on A tasks, the better. If you find that you’re overwhelmed with C tasks, steal as much time as you can from them and devote it to B tasks. 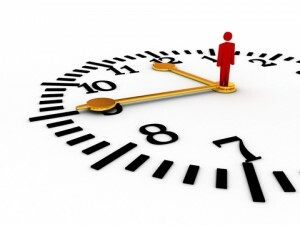 Use your B time to become more organized and effective, such that you aren’t as urgency driven. Then you can devote some of that savings to A tasks. It’s perfectly OK to change your ratio over time. If you’re at 10-10-80, you may not be able to jump straight over to 50-30-20. You might need to first attempt 5-40-55 and then 20-50-30 to get those C tasks tamed. In the long run, it’s the A tasks that make or break us. If we don’t do them, we essentially let our potential go to waste. Who wants to devote the bulk of their lives to answering email and paying bills? We need to keep such tasks from taking over our lives, so we have time to tackle the truly great challenges that can make a real difference to us… and to the world.